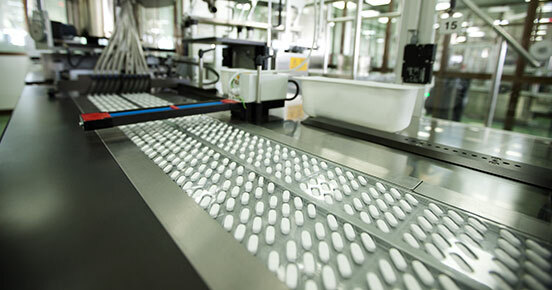 The need to comply with patient safety and traceability requirements in a cost-effective way is a major business driver for pharmaceutical, medical device, and bio-science product manufacturers. Cognex vision-based inspection and industrial identification (ID) solutions can help. With easy-to-use, integrate, and maintain products, Cognex machine vision and industrial ID systems provide the lowest cost of ownership in the industry. Whether it’s using low cost sensors to ensure package integrity, tracking serialized product from manufacture to patient, or ensuring label accuracy with barcode and text verification, Cognex offers the products that add value every step of the way. Achieve compliance with new traceability requirements. With more than half a million systems installed, inspecting billions of products every day, Cognex has the capacity and resources available to support even the largest enterprise-wide inspection and code deployments across multiple production lines. For more than 20 years, leading pharmaceutical and medical device manufacturers and the machine builders that serve them have relied upon Cognex sales engineers and application specialists located around the world to provide assistance wherever and whenever needed.